Q. What does the due date mean in a USC Libraries Catalog record? A due date in a USC Libraries Catalog record for a book means that it is checked out to another borrower. If a book that you need is checked out to someone else, you can recall it. 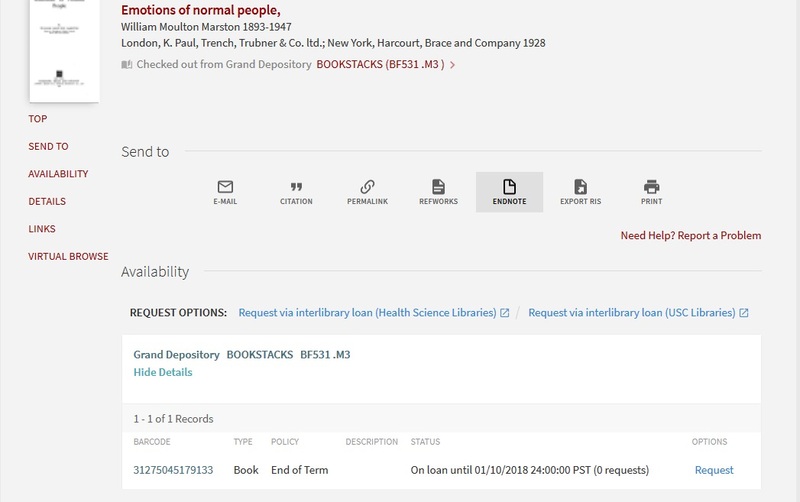 You can recall a book only if it is checked out to another borrower and there are no other copies available of the book within the USC Library system. The borrower has two weeks to return the book (unless it is due sooner than when you recall it). Ppull up the record for the book that you want to check out. Click on the link labeled Request. Select the library where you want to pick up the book .